Hugh Jackman Teases Huge Announcement, Is He Returning as Wolverine? Hugh Jackman is set to make a huge announcement later this week, but what's it going to be? That's the million dollar question right now, though speculation has already started circulating online. Perhaps merely hopeful speculation that Jackman may be bringing out the claws for another go as Wolverine. While we'll dig into the likelihood of that in a moment, here's what Jackman had to say on Twitter while posting a clip from The Today Show, where he'll be appearing as a guest this week to make said announcement. "See you this Thursday on The Today Show for an exclusive announcement!!" The hosts of the show promise that it's "huge" and that "it will be worth the wait." Beyond that, nothing else has been revealed, so it's been left up to the internet to speculate wildly. That said, it's understandable that many fans would speculate and hope that this could be related to Wolverine. 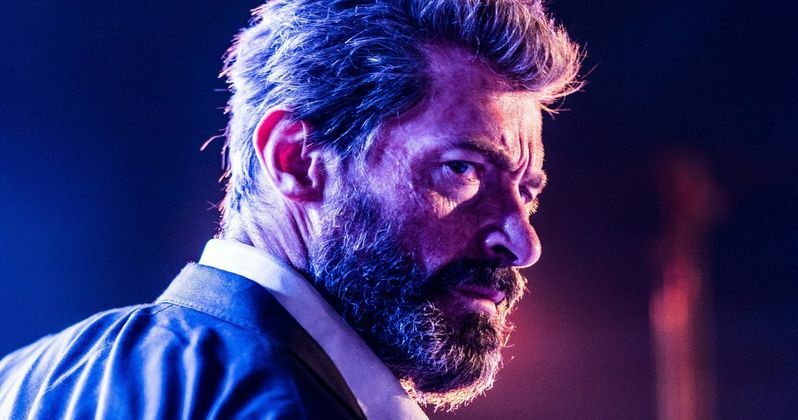 Last year's Logan marked the end of Hugh Jackman's tenure as the fan-favorite mutant and gave him a fitting farewell. Ever since, Jackman has remained adamant that he has hung up the claws for good. But with the Disney purchase of Fox looming, could a new opportunity too good to pass up have presented itself? Probably not. We don't want to get anyone's hopes up unnecessarily here. However, we know Ryan Reynolds has been relentlessly pestering Hugh Jackman to do a Deadpool and Wolverine team-up movie over the past couple of years. Recently, Jackman reaffirmed that he's not going to come out of retirement, despite Reynolds' constant harassing. He also confirmed that Wolverine is most definitely going to come back to the big screen at some point, but he's not going to be the one doing it. So, based on his most recent comments, it's pretty safe to assume big Wolverine news isn't coming our way Thursday. Now that expectations are properly tempered, what can we expect? The Today Show has played host to several special charity announcements in the past that include special chances to meet big stars or win huge prizes, all while going to support a good cause. Perhaps Hugh Jackman has partnered with Omaze or some other charity organization for just such a campaign? It's also quite possible that Jackman could be announcing a new movie or TV project altogether that we haven't heard anything about. The Greatest Showman 2, perhaps? If that's the case, the doors are truly wide open, as the Australian actor has wide-ranging talent that could take him just about anywhere within the entertainment industry. If not related to Wolverine, it will take something pretty significant in the eyes of many to qualify as both huge and worth the wait. Luckily, we're not going to have to wait all that long to figure out what this mystery announcement winds up being. We'll be sure to follow up with this on Thursday once Hugh Jackman makes the reveal on The Today Show. In the meantime, feel free to check out the video from Hugh Jackman's Twitter post below and feel free to speculate wildly.